Eight years, six soldiers killed looking for Bowe Bergdahl, many more severely wounded, five of the most dangerous terrorists in Gitmo exchanged in return, and finally justice will be done very shortly. Army Sgt. Bowe Bergdahl is expected to plead guilty later this month to desertion and misbehavior before the enemy rather than face trial for leaving his Afghanistan post in 2009, The Associated Press reported via Fox News. Bergdahl’s lawyer declined to comment when contacted by Fox News. He faces up to five years in prison on the desertion charge and a life sentence for misbehavior. Bergdahl, 31, who was serving with an Alaska-based infantry regiment, deserted his Afghanistan post in 2009, when he was 23 years old, and was held captive by the Taliban for about five years. The Taliban posted a video online showing Bergdahl saying he was “scared” he would not be able to go home. The U.S. does not “leave our men or women in uniform behind,” Obama said then, regardless of how Bergdahl came to be captured. 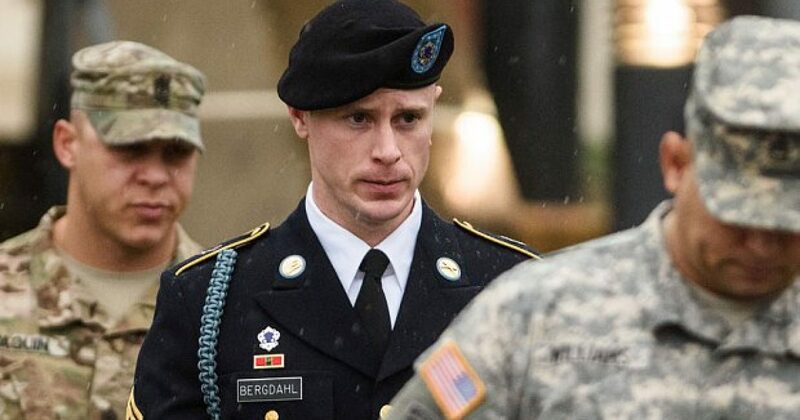 Some of Bergdahl’s fellow soldiers want him held responsible for any harm suffered by those who went looking for him. The judge ruled a Navy SEAL and an Army National Guard sergeant wouldn’t have found themselves in separate firefights if they hadn’t been searching.